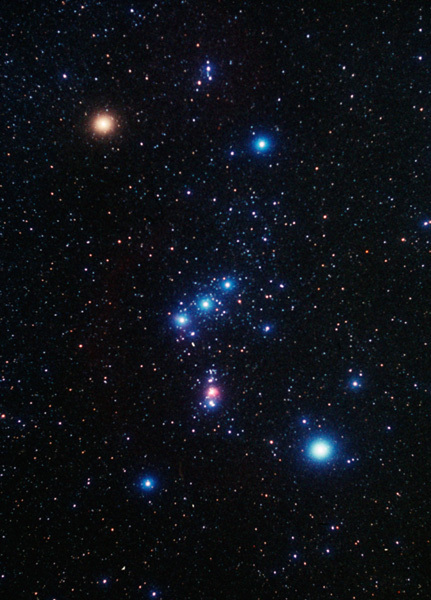 Anyone else think that they should rename the constellation Orion "Mortar and Pestle?" I have finally figured out a snappy comeback to one of Krugman's anti-Austrian fallacies. This makes me happy, because my previous efforts against him took practically a thesis to explain. The Austrian view is that unemployment in a slump results from the difficulty of “adaptation of the structure of production” — workers are unemployed as resources are painfully transferred out of an overblown investment-goods sector back into production of consumption goods. But this immediately raises the question, why isn’t there similar unemployment during the boom, as workers* are transferred into investment goods production? During the boom, resources are transferred into investment goods production from savings, not from production goods investment. During the bust, there were no more savings, so the transfer had to come from decreased investment. *It makes more sense if you assume that Krugman meant "resources" here. Looking through my bookmarks, I found this old piece by Jeffrey Tucker. Some interesting reading material, and also a good insight as to why the Austrian Theory can seem like such a light bulb in the darkness of modern economics.